New Mexico Privet provides songbird habitats. Keep in mind Berry Girl must be planted with Happy Boy to produce berries. This is the second in a continuing series of blogs regarding the creation of a sustainable, resilient landscape. Our gardens and landscapes can and should be places where we can revitalize our mind and body, expand our appreciation for the natural world and contribute positively to the ecological health of our communities and the planet. It's vital that gardeners understand the principles behind eco-friendly xeriscaping (waterwise gardening) so that we all understand how easily it can be done and recognize the beneficial results of our efforts. Planning and designing a new landscape or re-doing on old one is an essential but often overlooked part of gardening. So many of us just head out to the local garden centers in April or May with a severe case of spring fever and load up with all the blooming plants we can cram into the car. The frustration sets in when we get home and realize that we have a jumbled selection of plants that may or may not be a good long-term choices for our yard. Instead, take the time to walk you property and get to know your yard. And just as importantly, take the time to look out at your yard from inside the house. Late fall, winter and early spring can drag on. And it's important to plant where you can look out and enjoy the dormant beauty of your plants from the kitchen and other rooms where you spend your time. Do you spend your summer weekends on the lake? Then your design theme should be "low care." Do you enjoy entertaining on your patio? Then your design theme should be "color and fragrance." Always look for especially showy, long blooming and fragrant annuals pallet of perennials when you plant. Do you enjoy hummingbirds? "Hummingbird gardening" is a great theme, especially if you live in the western US where many species of hummers are native. Select annuals, perennials and woody plants that provide them with colorful flowers full of nectar and you'll have lots of hummingbirds buzzing around to entertain you. Keep pollinators in mind when planning your garden. 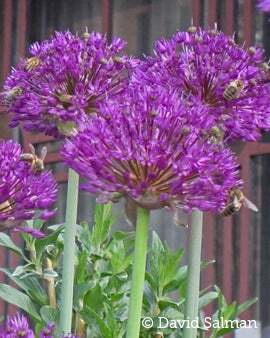 Bees love Allium 'Purple Sensation'. 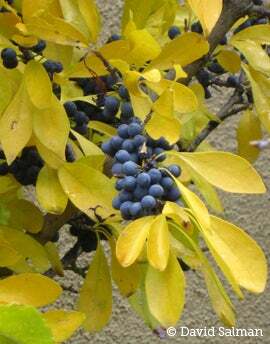 Flowering and fruiting trees and shrubs. An assortment of perennial plants that includes early spring, late spring, summer and early fall blooming species. Be sure you include lots of fall blooming plants, so pollinators can be well fed heading into winter. Woody and herbaceous plants that provide berries and seeds are invaluable food sources for resident and migrating birds. Having a multi-tiered landscape with tall, medium and low growing trees and shrubs provides the best habitat, as different bird species occupy different height zones in your yard. Save energy by planting well-positioned trees to provide summer shade and winter sun. 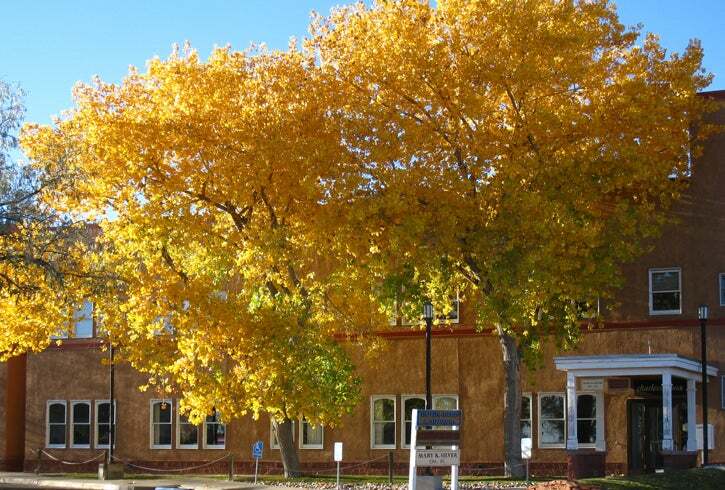 Deciduous trees planted on the south and west sides of buildings reduce air conditioning costs in summer and let in the warming rays of the sun in winter reduce heating costs. In suburban and rural areas where your lot size allows, evergreens that moderate the prevailing winds will increase the comfort of your house and protect your landscape from the drying and stunting effects of the wind. Plant deciduous trees on the south sides of buildings. In the arid Western U.S., xeriscaping (waterwise gardening) is an essential principle, as limited water supplies and drought are constant companions. This is especially true when selecting woody trees and shrubs. Plant the ones that can survive with natural precipitation levels, water harvesting and little additional irrigation. A yard full of thirsty plants that perish when the irrigation is shut off is NOT part of a sustainable, resilient landscape.